Last Tuesday, the Toronto International Film Festival announced its first round of films lined up for the 2017 edition, running from September 7 through 17—fourteen Gala and thirty-three Special Presentations. Today, the festival unveils lineups for three more programs, TIFF Docs, Midnight Madness, and International Short Cuts. And as noted earlier today, Janus Metz’s Borg/McEnroe with Shia LaBeouf and Stellan Skarsgård will be the opening night gala. Again, links from each of the titles will take you to its page at the festival’s site for synopses, images, cast lists, and so on. Azmaish: A Journey through the Subcontinent, directed by Sabiha Sumar, North American Premiere. 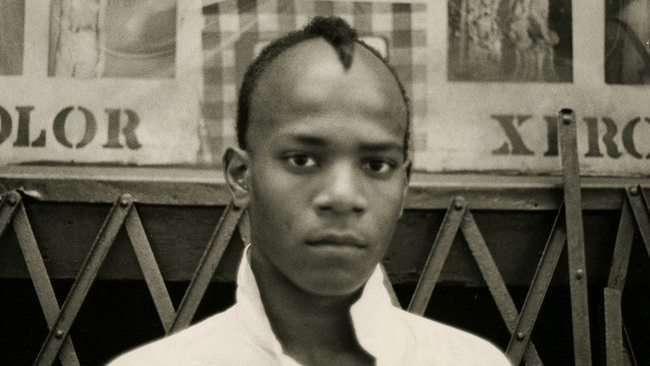 Boom for Real: The Late Teenage Years of Jean-Michel Basquiat, Sara Driver, World Premiere. Image above. The China Hustle, Jed Rothstein, World Premiere. Cocaine Prison, Violeta Ayala, World Premiere. Eric Clapton: Life in 12 Bars, Lili Fini Zanuck, World Premiere. Ex Libris - The New York Public Library, Frederick Wiseman, North American Premiere. The Final Year, Greg Barker, World Premiere. The Gospel According to André, Kate Novack, World Premiere. Grace Jones: Bloodlight and Bami, Sophie Fiennes, World Premiere, Documentary Program Opening Film. Jim & Andy: the Great Beyond - The Story of Jim Carrey & Andy Kaufman Featuring a Very Special, Contractually Obligated Mention of Tony Clifton, Chris Smith, North American Premiere. Jane, Brett Morgen, World Premiere. The Judge, Erika Cohn, World Premiere. The Legend of the Ugly King, Hüseyin Tabak, World Premiere. Lots of Kids, a Monkey and a Castle, Gustavo Salmerón, North American Premiere. Love Means Zero, Jason Kohn, World Premiere. 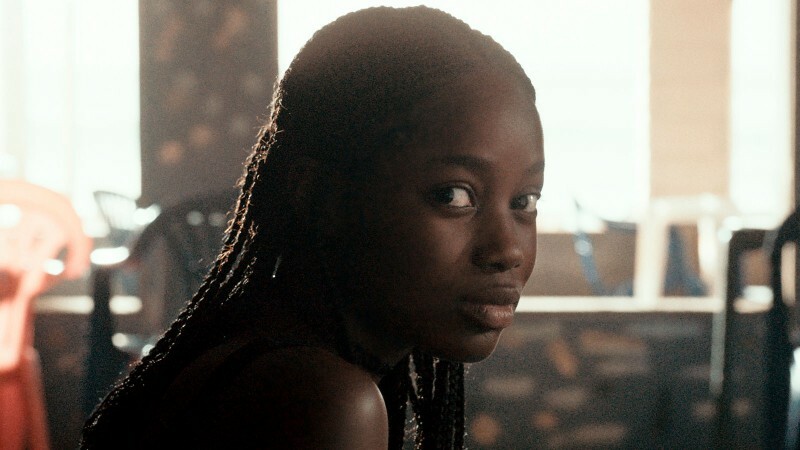 Makala, Emmanuel Gras, North American Premiere, Documentary Program Closing Film. One of Us, Heidi Ewing and Rachel Grady, World Premiere. The Other Side of Everything, Mila Turajlić, World Premiere. Sammy Davis, Jr.: I’ve Gotta Be Me, Sam Pollard, World Premiere. Scotty and the Secret History of Hollywood, Matt Tyrnauer,World Premiere. Silas, Anjali Nayar and Hawa Essuman, World Premiere. Super Size Me 2: Holy Chicken!, Morgan Spurlock, World Premiere. Bodied, Joseph Kahn, World Premiere, Midnight Madness Opening Film. Brawl in Cell Block 99, S. Craig Zahler, North American Premiere. The Crescent, Seth A. Smith, World Premiere. The Disaster Artist, James Franco, World Premiere. Downrange, Ryuhei Kitamura, World Premiere. Great Choice, Robin Comisar, Canadian Premiere (no page yet). Let the Corpses Tan, Hélène Cattet and Bruno Forzani, North American Premiere. Mom and Dad, Brian Taylor, World Premiere. Revenge, Coralie Fargeat, World Premiere. The Ritual, David Bruckner, World Premiere. Vampire Clay, Sôichi Umezawa, World Premiere, Midnight Madness Closing Film. Airport, Michaela Müller, North American Premiere. Blue Christmas, Charlotte Wells, World Premiere. Bonboné, Rakan Mayasi, World Premiere. 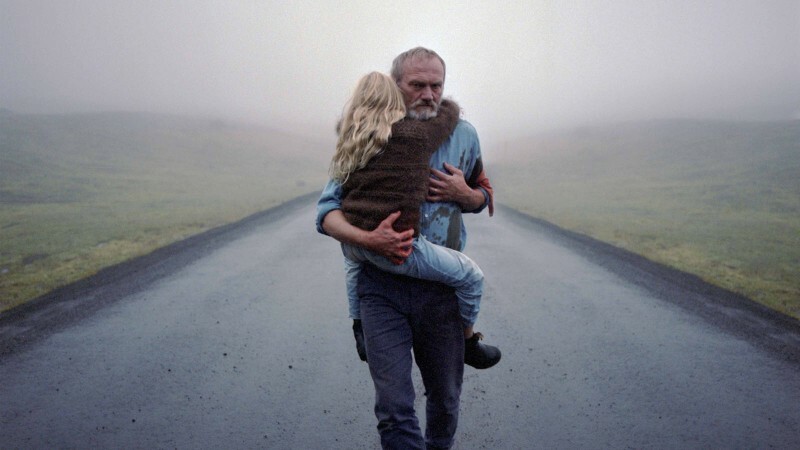 The Burden (Min börda), Niki Lindroth von Bahr, North American Premiere. Catastrophe, Jamille van Wijngaarden, International Premiere. Damiana, Andrés Ramírez Pulido, North American Premiere. The Death, Dad & Son (La Mort, Père & Fils), Denis Walgenwitz, International Premiere. 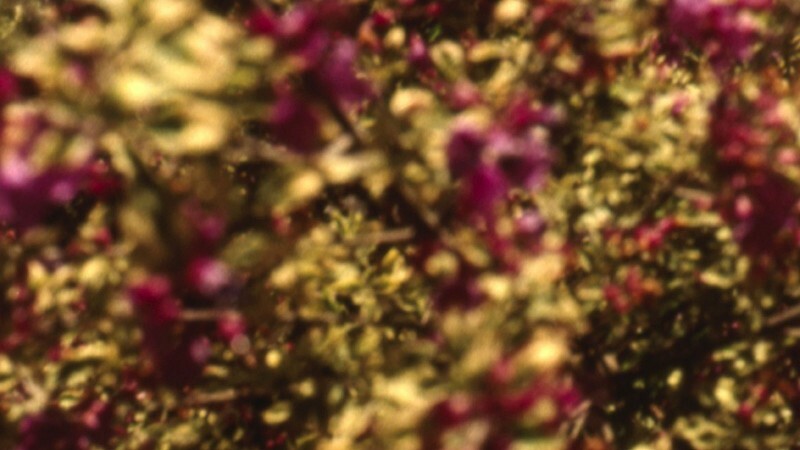 Drop by Drop (Água Mole), Xá and Laura Gonçalves, North American Premiere. A Drowning Man, Mahdi Fleifel, North American Premiere. Everlasting MOM (Ima Lanetzah), Elinor Nechemya, International Premiere. Fifteen (Khamastashar), Sameh Alaa, World Premiere. Five Minutes, Justine Bateman, World Premiere. A Gentle Night (Xiao Cheng Er Yue), Yang Qiu, Canadian Premiere. I Didn't Shoot Jesse James (Je n'ai pas tué Jesse James), Sophie Beaulieu, North American Premiere. Jodilerks Dela Cruz, Employee of the Month, Carlo Francisco Manatad, North American Premiere. Long Distance Relationship (Namoro À Distância), Carolina Markowicz, World Premiere. Lower Heaven, Emad Aleebrahim Dehkordi, International Premiere. Magic Moments, Martina Buchelová, World Premiere. Marlon, Jessica Palud, North American Premiere. Möbius, Sam Kuhn, North American Premiere. Mon amour mon ami, Adriano Valerio, International Premiere. Mother (Madre), Rodrigo Sorogoyen, International Premiere. Preparation (Proetimasia), Sofia Georgovassili, World Premiere. The President's Visit, Cyril Aris, World Premiere. Push It, Julia Thelin, North American Premiere. Roadside Attraction, Patrick Bresnan and Ivete Lucas, World Premiere. Shinaab, Lyle Mitchell Corbine Jr, International Premiere. Signature, Kei Chikaura, North American Premiere. Still Water Runs Deep, Abbesi Akhamie, World Premiere. Together Alone (Nosotros solos), Mateo Bendesky, International Premiere. Treehouse (La casa del árbol), Juan Sebastián Quebrada, World Premiere. Waiting, Amberley Jo Aumua, International Premiere. Waiting for Hassana, Ifunanya Maduka, Canadian Premiere. We Love Moses, Dionne Edwards, Canadian Premiere. Wicked Girl (Kötü Kiz), Ayce Kartal, North American Premiere.